Regarding the demonstration or refutation of any professedly Christian doctrine, the Scriptures alone are sufficient. Thus, when considering whether or not the Logos of God has always existed as a distinct Person of the Godhead, eternally in co-equal fellowship with the Father and the Holy Spirit, we rely solely on the Scriptures. What follows in this essay is not a defense of the Personhood of the Logos prior to his incarnation per se, but a refutation of a popular claim made by Oneness theologians, viz. that the Logos was an a-personal divine plan in the mind of God. 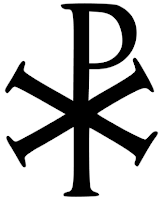 In particular, the claim that the distinct Personhood of the Logos is derived from pagan philosophy will be refuted. Additionally, some remarks will be made about the possible Semitic precursors (i.e. the Memra and Metatron) to the Scriptural doctrine of the distinct Personhood of the Logos, seeing as the mere existence of a Semitic Logos concept that shares many features of the doctrinal position held by Trinitarians contradicts opponents of the distinct Personhood of the Logos from all eternity. Platonism, Neoplatonism, or Scriptural Exegesis? [the] trend toward trinitarianism began by making the Logos (the Word of John 1) a separate person. Following a thought in Greek philosophy, particularly in the teachings of Philo, some of the Greek apologists began to view the Logos as a separate person from the Father. This was not trinitarianism, however, but a form of binitarianism, and one that subordinated the Logos to the Father. To them the Father alone was the real God and the Logos was a created divine being of second rank. In John 1, the Word is God’s self-revelation, self-expression, or self-disclosure. Before the Incarnation, the Word was the thought, plan, reason, or mind of God. In the beginning, the Word was with God, not as a distinct person but as God Himself—pertaining to God much as a man and his word. However, the Hellenized Jewish philosopher Philo “whose thought,” as Ronald Nash notes, “was an odd mixture of Platonism and Stoicism,” and who is often cited as the source of John’s doctrine of the Logos, actually taught that the “Logos‐Mediator was a metaphysical abstraction,” and “not a person or messiah or savior but a cosmic principle, postulated to solve various philosophical problems.” The pagan-influenced doctrine of the Logos, as contained in the writings of the Alexandrian philosopher Philo, in other words, taught that the Logos was not personal but a-personal. Consequently, when Bernard argues that it was the pagan-influenced Philo whose doctrine of the Logos inspired the apologists to view the Logos as a distinct person from the Father, his thinking is entirely backwards. [After the Arians], The second class of true monotheists believes in one God, but further believes that the fulness of the Godhead is manifested in Jesus Christ. They believe that Father, Son, and Holy Spirit are manifestations, modes, offices, or relationships that the one God has displayed to man. The modalistic conception of God, ironically, looks more like the pagan conception of the Triad than it does the God who reveals himself in Scripture. Notions of the second god as personified word or wisdom of God were present among Semitic-speaking Jews as well. [...] The leading candidate for the Semitic Logos is, of course, “The Memra” of God, as it appears in the para-rabbinic Aramaic translations of the Bible in textual contexts that are frequently identical to ones where the Logos hermeneutic has its home among Jews who speak Greek. So close, in fact, is the personal “Memra” of God doctrine of these Jews that Boyarin, after surveying numerous theological and contextual parallels between John’s prologue and Jewish commentaries on the OT featuring the Word/Logos/Memra of God, concludes that “theMemra performs many, if not all, of the functions of the Logos of Christian Logos theology.” This directly contradicts Bernard’s attribution of Logos theology to “the Greek Apologists,” demonstrating that their idea of “the Logos as a second divine person” was not only not unique to philosophers like Justin Martyr, but found a place within Judaism itself. The literature on the subject of the so-called “two powers in heaven” doctrine is extensive, and shows that the differentiation of Divine Persons in the Godhead was not the product of cultural admixture and religio-philosophical syncretism. Daniel Boyarin correctly notes that such an interpretation of the “two powers in heaven” doctrine is more likely an ideologically driven reconstruction of the past by present Rabbinical scholars than it is an attempt to understand the complex interrelationships between multiple “in-house” debates arising from various exegetical/interpretive difficulties faced by devout Jews. The foregoing essay is intended not to settle the issue of whether Christ existed eternally as a distinct Divine Person, co-equal with God the Father, that issue is settled alone by sound exegesis, for Scripture alone is the source of all Doctrine. Instead, what the foregoing has sought to demonstrate is that such attacks on the pre-existence of the Personal, Distinct, and Co-Equal Logos of God are not only anti-Scriptural but likewise expresses a doctrine of the Logos that is closer to the writings of pagan philosophers than its proponents would have their readers believe. Oneness theologians like Bernard attack the doctrine of the Trinity as being the product of pagan philosophizing, and then proceed to identify the Logos of God in John 1 as an impersonal plan, as pagan-influenced philosophers did. Such internal incoherence is a symptom of a deeper problem. The rejection of the Truth, who is the Eternal, Distinct, Co-Equal with the Father and the Spirit, Personal Logos is what leads to the confusion which riddles the works of non-Trinitarians. The foregoing argumentation is concerned, therefore, with stripping away the ad hoc arguments of Oneness theologians like Bernard, as they are nothing more than a smoke-screen behind which these men think they can hide from the Eternal Son of God. And if they are faced with their errors, it is the prayer of the present author that they will be granted sight to see their idolatry for what it is, be granted repentance, and be forgiven and reconciled to the Trinity. The Oneness of God: Volume I (Missouri: Word Aflame Press, 1983), 266. Bernard, The Oneness of God, 265. Bernard, The Oneness of God, 266. Oneness and Trinity, (Missouri: Word Aflame Press, 1991), 11. Dalcour, A Definitive Look, 58ff. A Definitive Look at Oneness Theology: Defending the Tri-unity of God (Maryland: University Press of America, 2005), 55. “Was the New Testament Influenced by Pagan Philosophy?,” Christian Research Institute, accessed September 2, 2014, http://www.equip.org/articles/was-the-new-testament-influenced-by-pagan-philosophy/#christian-books-5. “The Logos Concept:A Critical Monograph on John 1:1 Abridged by the Author,” in Grace Theological Journal 4.2 (Spring, 1963), 15. “The Introduction of the Concept of Logos in the Prologue of the Fourth Gospel,” in Perichoresis 3/2 (2005), 216. Lovelady’s position is somewhat different from that of Nash, interpreting Philo’s Logos as “oscillating between a personal and impersonal being...” (20). Nevertheless, the scholarly consensus is that “in spite of all personification, Philo is not really thinking of a personal guide and companion. The Logos is the world of ideas Knowledge of God comes by the discipline of contemplating the unseen archetypes.” (C.H. Dodd, quoted in Donald A. Hagner, “The Vision of God in Philo and John: A Comparative Study,” in Journal of the Evangelical Society 14 (1971), 84. The notion of pre-Christian “trinities” is an old one that still finds popular expression among Jehovah’s Witnesses. Systematic Theology: Volume I (Michigan: Eerdmans, 1940), 433. The Oneness of God, 15. “The Gospel of the Memra: Jewish Binitarianism and the Prologue to John,” in The Harvard Theological Review Vol. 94, No. 3 (July, 2001), 249-252. Boyarin, The Gospel of Memra, 252. Boyarin, The Gospel of Memra, 252-253. Boyarin, The Gospel of Memra, 257. The Trinitarian Controversy in the Fourth Century, (Missouri: Word Aflame Press, 2011), 10. Most notably Alan F. Segal in his seminal work, The Two Powers in Heaven: Early Rabbinic Reports about Christianity and Gnosticism (Baylor University Press, reprint 2012), 339 pp. “Beyond Judaisms: Metatron and the Divine Polymorphy of Ancient Judaism,” in Journal for the Study of Judaism 41 (2010), 323-365. For a solid exegetical refutation see Burgos, Michael. Kiss the Son: A Christological Apology in Response to David K. Bernard's The Oneness of God (CreateSpace Independent Publishing Platform, 2012), 150 pp.